DOUG OHLSON (1936 - 2010) was born to a farming family in Cherokee, Iowa. Along with his brothers, Ohlson was expected to continue the family tradition and work the land. However, after attending Bethel College and then completing a tour of duty with the United States Marines, Ohlson enrolled in the University of Minnesota. He graduated in 1961 with a degree in studio art and headed to New York, determined to make a career as an artist. Celebrated for the vibrant color and loose-limbed geometry of his paintings, Ohlson has been exhibited consistently in New York City since 1964. The artist has had one-person survey exhibitions at the Marsh Gallery, University of Richmond, Virginia, the Usdan Gallery, Bennington College, Vermont, and the Portland Center for the Visual Arts, Oregon. In 2002 a retrospective of 20 years of his painting was installed at the Hunter College/Times Square Gallery. His work was included in the “Art of the Real” the Museum of Modern Art’s groundbreaking 1968 survey of Minimalism and Color Field Painting. His work is included in the permanent collections of the Metropolitan Museum of Art, N.Y. The Brooklyn Museum, Corcoran Gallery of Art, National Gallery of Art, Dallas Museum, Whitney Museum, Albright-Knox Gallery, the Karl Ernst Osthaus Museum in Hagen and MOMA, Frankfurt Germany, The Minneapolis Institute of Arts and the Museum of Fine Arts Boston and other museums in addition to numerous private and corporate art collections. Ohlson was the recipient of the John Simon Guggenheim Memorial Fellowship (1968), Creative Artists Public Service Grant (1974), and National Endowment for the Arts Grant (1976). 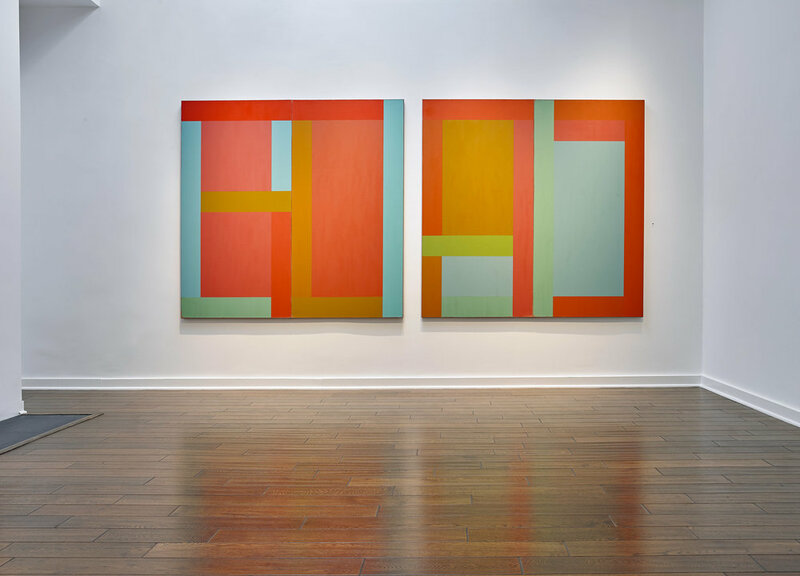 Most recently, Washburn Gallery in New York and Louis Stern Fine Arts in Los Angeles have exhibited the artist’s work. 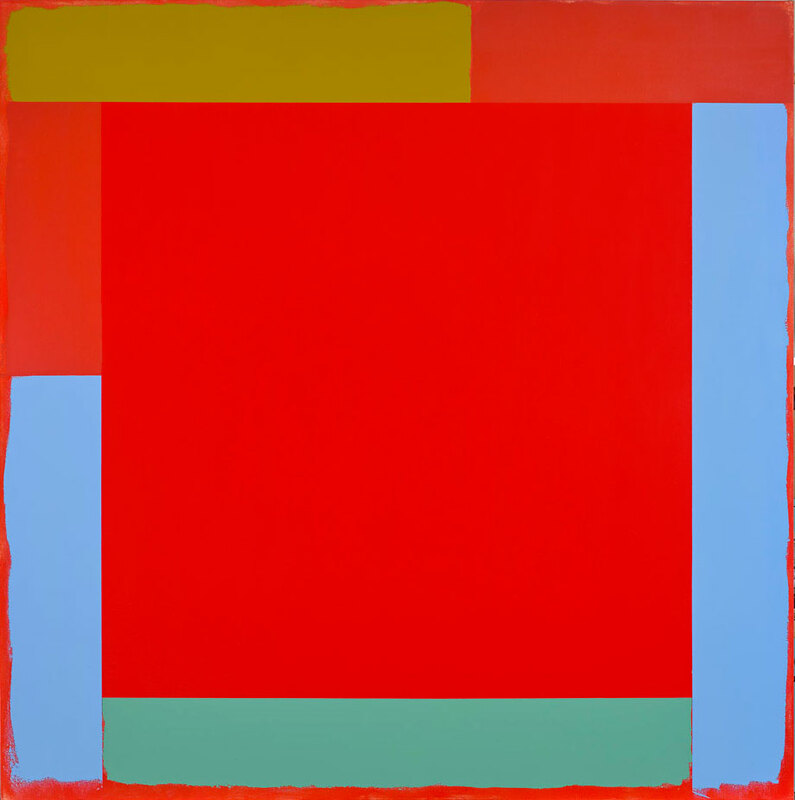 In 2013, from June to December, Doug Ohlson: Heroic Abstraction graced The Lobby Gallery of 499 Park Avenue – the only space large enough to display some of his last monumentally scaled paintings.